Hello! 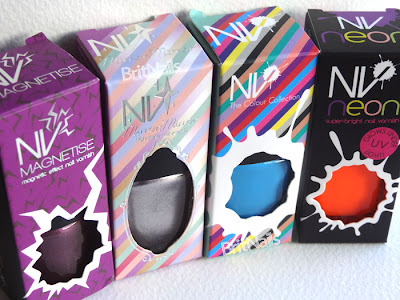 Today I have a review and some swatches from a new UK cosmetics brand called NV. NV is a new UK brand that comprises of nail polish, nail wraps, eye crayons, lip glosses, glitter pots and more (according to the cute little leaflet I got in the packaging). Their nail range includes shatter, magnetise, UV neon, mirror mirror metallic, glitter and chameleon colour change. Currently only the nail range is available, other cosmetics are coming next year. The first thing that grabbed my attention was the packaging, it's so colourful and cute! 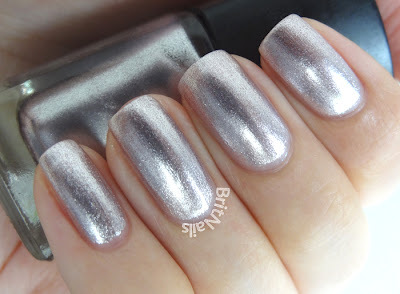 First up is Titanium Star, from the Mirror Mirror collection. Titanium Star is a high shine silver metallic, with a slightly gold undertone. Super duper shiny! The fomula is great and not at all streaky. I used 2 coats for full opaqueness, no top coat. This is the first mirror metallic I've used and I'm quite impressed with it. It went on so easily! 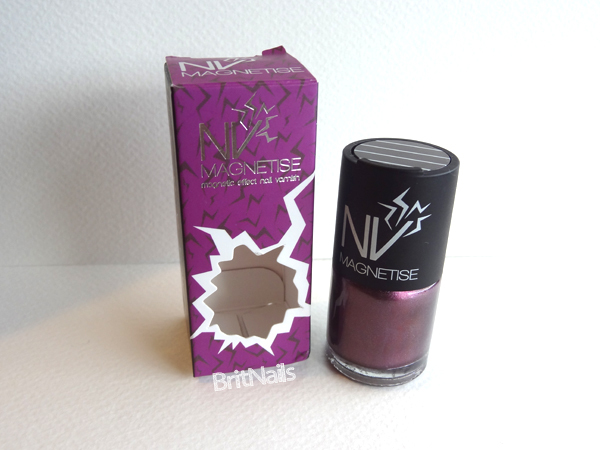 Next is Purple from the Magnetise collection. 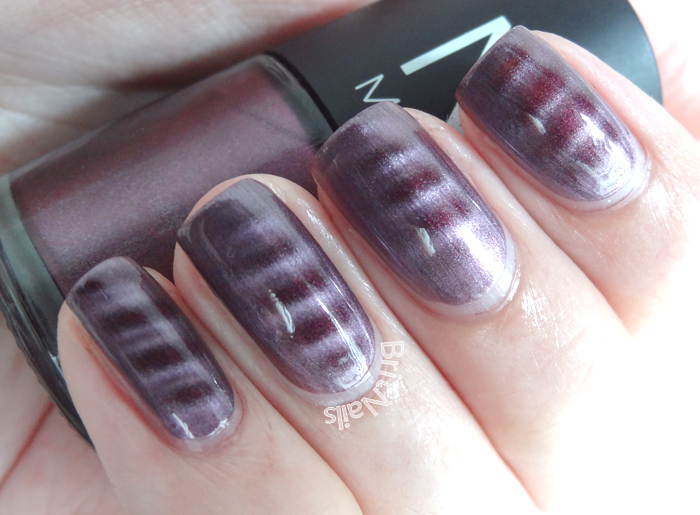 This is a shimmery mauve magnetic polish (I'm sure nearly everyone is familiar with magnetics by now) the magnetic effect is quite strong, perhaps not as strong as some out there but definitely a decent one. Application was again great, I only needed 2 coats and it went on smoothly. 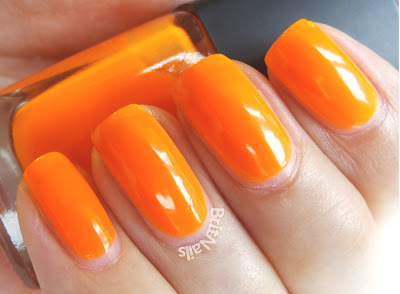 Next is Day Glo from the UV Neon collection (glows under UV light). This one gave my camera all sorts of panic attacks...it truly is neon! My camera unfortunately just couldn't capture it properly, the pictures came out quite dark. You get the effect of just how BRIGHT it is though! The colour accuracy isn't 100%, I'd say it was a bit more tangerine coloured in real life, but this is pretty close. Application was easy for a neon, and it dried glossy, unlike some neons that tend to dry matte. I did however need 4 coats to cover up visible nail line, but if your nails are short you won't have that problem. Lastly is Blue Monday from the Colour Collection, which is a collection of cremes. Blue Monday is a lovely light blue creme (I can't get enough of blues!) which reminds me of Barry M Cyan Blue. The formula was great, but maybe a little thin. I used 3 coats and top coat. NV seems to be a good quality budget brand, I had no trouble with the formulas of any of them, and the packaging is definitely attractive. 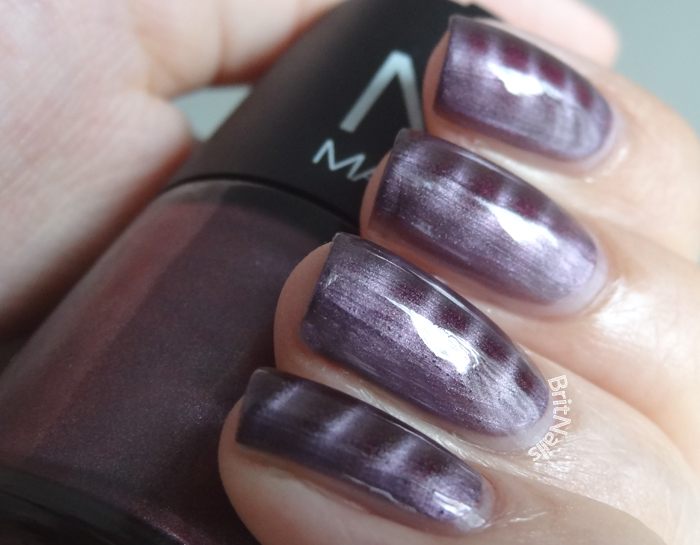 My favourite was the Mirror Mirror polish and I'd love to try more of those. I can't see any DBP, Formaldehyde or Toluene in the ingredients so they look to be B3F. NV's website is under construction but you can see their Facebook page here (look at the glitters, they look so pretty!) 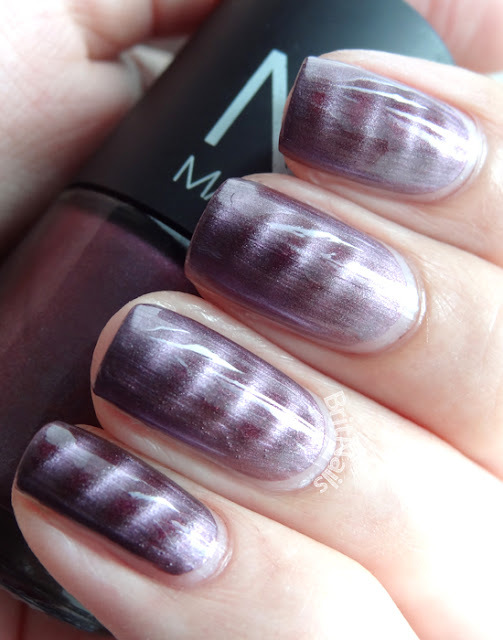 which has a list of links to online stockists, and I believe the nail polish is priced at £3 for 14ml. Lovely swatches I really love the blue and the neon orange! ooh i am loving these! loving the packaging here for sure!